Potential tanks, he seemed to think, were just as relevant as an actual ones. Later that week, I asked a senior British general about Odierno’s remarks. He replied, deadpan, that although Odierno’s candor was appreciated, his statement was factually incorrect. “We can still field a division,” the general insisted. “It is just a question of how long it takes us to field one.” Potential tanks, he seemed to think, were just as relevant as an actual ones. General Odierno was right to note that Britain’s capabilities are in decline, but as Americans, it is also important we recognize that whatever those capabilities appear to be, the British also usually overrate them. There are many reasons that from across the Atlantic it looks like British leaders sometimes exaggerate their military might. This sometimes puzzles Americans, but we must understand that to the British, doing so is virtuous. Since the early 90s, it has been dogma to many in London that to maintain its Great Power status despite its Middle Power size, Britain must “punch above its weight.” That is boxing jargon for going glove-to-glove with someone bigger than you, and shorthand (as clever critics have observed) for getting beat up. Simply put, those in Britain who still yearn for greatness want Britain to take up challenges it lacks the resources to deal with, in order to prove itself. Being punchy and risking a knockout was always a contentious idea. Its most trenchant critique came in a 2015 book by a retired British general, which has perhaps received too little attention in Washington since its publication. 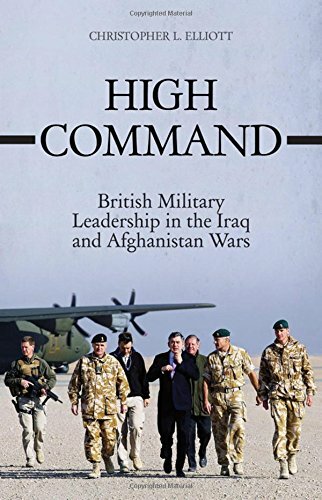 In the critical yet balanced High Command: British Military Leadership in the Iraq and Afghanistan Wars, Christopher L. Elliott argues that punching above its weight has gotten Britain nowhere in the past, and will get Britain nowhere in the future. Elliott is a retired Major-General who, after distinguished careers in the Royal Engineers and the defense industry, wrote this book while a research fellow at Oxford. It is hard to imagine anyone better suited to criticizing and being listened to. He retired before the War on Terror began, and combines unique perspective, detachment, and access. 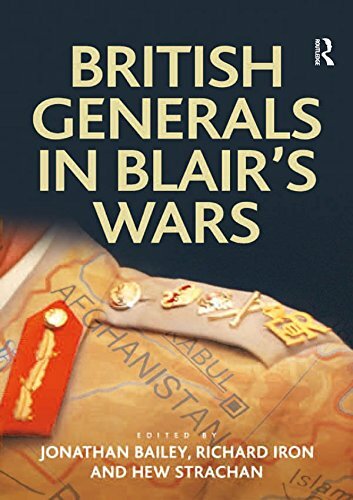 This book’s exceptional foundation are the candid interviews he conducted with practically every senior British leader involved in the conflicts. As Elliott told me shortly after the book was published, they wanted to talk, and he was “pushing against an open door.” Britain’s leaders are disappointed with their own conduct. As “one of them,” they trusted him to tell their story, even though no one expected him to pull his punches. Americans need to read this book. Preserving the special relationship with the United States was “the U.K.’s pre-eminent policy objective for the decade,” in Elliot’s words. The British rightly feel that they failed in their role as an ally of the United States, having over-promised and under-delivered in two campaigns. This should be inexcusable. As Britain fought in Basrah and Helmand, America was fighting larger campaigns in the rest of Iraq and Afghanistan that were comparatively well-resourced. The U.S. Army and Marine Corps stretched themselves thin, but they also often had reserves to spare which might have eased Britain’s burden. Why was the British military unable to ask their ally for help? On some occasions, the United States genuinely had nothing to offer. Britain followed the American lead by rapidly drawing down force levels in the country after the invasion of Iraq to a mere 9,000 soldiers. Its forces took full responsibility for the southeastern Shia part of the country, providing a brigade and the divisional headquarters for what became Multi-National Division (South-East). Andrew Stewart, who was its first commander, records in Britain’s Generals in Blair’s Wars that he was told by the Americans their goal was for him to handle the Shia south without their support because they could not afford to “divert any reserves or resources to the area.” American soldiers and Marines were facing a desperate situation in Baghdad and the Sunni West, and even requested British reinforcements. Most of these requests were denied, but the Black Watch did venture north to participate in the second battle of Fallujah in late 2004. The British force that went in Basrah, however, was too small to accomplish its mission. Elliott writes that the British soldiers could beat the Shia militias in combat but “did not have enough troops to hold on to what they had taken.” General Sir Richard Dannatt, the Chief of the U.K. Defence Staff, honestly but scandalously told the media in October 2006 that “our presence exacerbates the security problem…and we should get out sometime soon.” Britain eventually abandoned the city late in that year. Basrah was only finally secured by the Iraqi 1st Division, with significant American and British support, in 2008. What followed was Britain’s other great military disaster of the decade. The “platoon houses” established in the villages, according to Elliott, “were soon besieged in strong and repeated attacks by large numbers of Taliban.” The British forces turned to heavy weapons to hold their positions, and Afghan property and lives were caught in the crossfire. The British became “fixed” in military terms, and “lost the initiative to the enemy.” 19 Infantry Brigade suffered 81 dead in their six-month tour, and achieved little except possibly the disturbing objective one British general suggested (revealed in one of Elliott’s interviews): “shedding more blood to show that we are in there with the Americans.” The initiative was only regained when U.S. Marines and Danish troops joined the British contingent for the 2008 fighting season. There is a pattern here. Britain twice failed to adequately resources military missions it promised to accomplish. Britain twice refused American assistance. Britain twice lost control of the military situation. American assistance then twice proved integral to cleaning up their messes. It is a distressing motif. Elliott’s contribution to the discussion is not his account of what happened, which is not new despite some remarkable revelations gleaned from interviews, but his unique and thoughtful explanation of how and why things went wrong. The problem was not that Britain intentionally oversold itself. The problem was that Britain’s bright military officers and civil servants never had the opportunity to develop effective strategies, because Britain’s strategic decision-making system was dysfunctional. Although Elliott places much of the blame for Britain’s failures squarely at the feet of the British high command, it is clear America played a role in allowing this all to happen. As Elliott sees it, authority, responsibility, and accountability were never aligned within the system. With “no one really in charge,” most of Britain’s most important military decisions, including those to take responsibility for Basrah and Helmand, were never thought through. The Chiefs of Staff Committee, the British equivalent of the American Joint Chiefs of Staff, became practically irrelevant, and its members were unable to even explain why Britain had taken responsibility for Helmand. Britain’s soldiers were sent overseas without a strategy to guide them and hamstrung by the ever-present “mismatch between policy and resources” that seemed inevitable given the yawning gap between Britain’s size and its perceptions of its import. Elliott argues this was because “the system was allowed to run the individuals.” His insightful and incisive introduction to the “Byzantine processes” of the Ministry of Defence is a must-read for any American working with Britain at a strategic level. To anyone who still dares trust the system after reading the book, Elliott’s “Summary of Eight Contradictions in U.K. Strategy,” included as an annex, is simply shattering. Although Elliott places much of the blame for Britain’s failures squarely at the feet of the British high command, it is clear America played a role in allowing this all to happen. Elliott calls the extent to which the U.S. “delivered on its responsibility to help address the problems faced by its principle coalition subordinate” a “debate for a separate place.” It is a debate that needs to start now. Elliott’s contribution to that debate is the revelation that Britain had little interest in playing “Little Satan” to America’s “Great Satan” (to borrow Iran’s nicknames for us). It refused offers of assistance and seemed to forget its place in the world. When Conservative Foreign Secretary Douglas Hurd first spoke of Britain’s suspended greatness in 1993 in a speech at Chatham House, he said, “NATO is one of the principal props which have allowed Britain to punch above its weight” and trumpeted the alliance with America. Britain was supposed to take advantage of its alliances to be a global player. Yet, as Elliott demonstrates, “The U.K. military command structure was not designed to function efficiently within a coalition. Instead, it was optimized for the U.K. fighting alone.” The U.K. and the U.S. remained “out of step,” and neither partner seemed interested in the dance. The United States left Britain out of its strategic discussions, and our allies, trapped as they were in a dysfunctional system, seemed to show little interested in participating in them. The fact that our most cherished ally is no longer able to analyze its own strategic situation, or participate fully in our strategic debates, should be distressing. Britain’s generals, brilliant as they may be, are trapped in a series of historical and organizational labyrinths. Needless to say, this situation may change, and Elliott is one of many voices calling out for reform. Until then, America must remain wary of allies who promise more than they can deliver. T.S. Allen in an officer in the United States Army currently serving in the Republic of Korea. He is a graduate of the United States Military Academy at West Point and holds an MA in War Studies from King’s College London, where he began work on an ongoing study of U.S.-U.K. cooperation in Iraq and Afghanistan. The views expressed in his work are his own and do not reflect the position of the U.S. Army, the Department of Defense, or the U.S. Government.